Renfrewshire hold either a Medal, a Greensomes, or Tri Am over various Renfrewshire courses during the season. The first event was the 2018 County Championship Qualifier - which was over Haggs Castle. It was an Open Day to all members with a chance to win the Championship Trophy, The Peggy Clark Trophy, The Handicap Irvine Trophy. 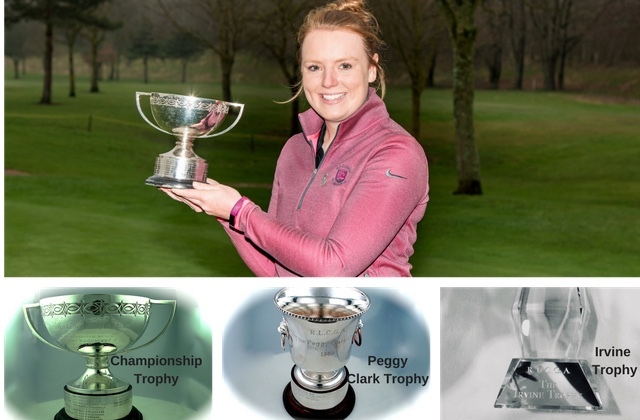 Eilidh was the leading qualifier with a 71 and also won the Peggy Clark Trophy playing off a handicap of +3 with the best net score of 74. She then went on to win the Championship title for the 6th time playing Gillian Kyle in a rematch of the 2017 final. The very first County Match was between Argyllshire and Renfrewshire at Killermont Golf Club on March 31st, 1909. Renfrewshire won 4 - 3. All County matches had to be played by the 31st October, and the winners of the two divisions met in the County Finals to be held in November. It is remarkable that 39 matches were arranged in that first year… there was one walk-over… the County Associations had only started in the January and February, and yet they had got themselves and their teams organised, communicated with their opposition and set up and played their fixtures, all within the space of 10 months. Lanarkshire beat Fife in the County Finals played over Glasgow Gailes on 2nd November 1909, and therefore became the first County to have their names engraved on the Scottish County Challenge Shield, donated by Issette Pearson and the LGU. In 1987 Renfrewshire won the Inter County West Division Matches which for the first time were in the form of a Jamboree hosted by Ayrshire at Largs Kelburne. The highlight of the year was once again winning the Scottish County Finals at St. Andrews (for the eighth time) after beating East Lothian, Dumfriesshire and Aberdeenshire. The County Jamboree is held annually on various courses in alphabetic order - Ayrshire, D&A, Lanarkshire and Renfrewshire. 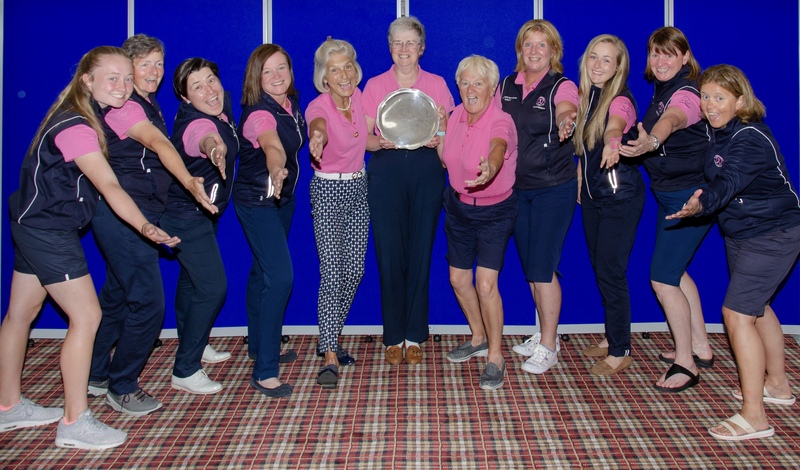 In June 2018 Renfrewshire won the West Division Championship and were Runners Up to Aberdeenshire in Scottish Team Championship at Kilmacolm in September 2018. This year the Jamboree will be hosted by Ayrshire at Prestwick Golf Club on the 17th - 19th June 2019. Wendy Cameron our Honorary Life President was Captain in 1982 when Renfrewshire won the County Finals for the 7th time. 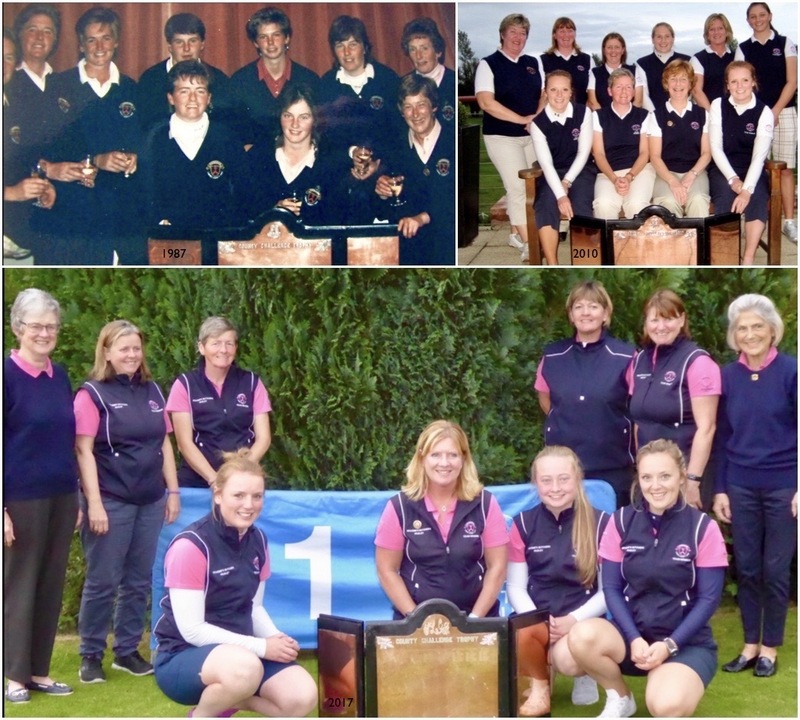 In 1987 Past President Eileen Gibb was the 8th Team Captain to be victorious. In 2010 Trish Brown was Captain and Maureen Woodhead - Vice Captain. In 2017 Renfrewshire won the title for the 10th time with Gillian Kyle -Playing Captain and June Lockhart - Vice Captain. Donna Jackson has played in the team for 35 years !!! Click Here for a list of all the Scottish Team Champions and the years that Renfrewshire have won the trophy. The following slideshow contains a few images of the 2017 RLCGA County team champions.